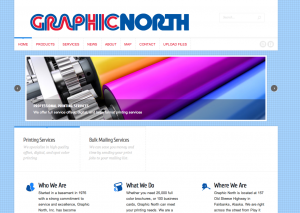 Graphic North has officially launched our new website to better meet our customers’ needs. We hope you like our new look. You can use our contact form to get in touch or offer feedback. Look for updates to our products and services section and for news about some of our special projects.